We are the experts for the BritRail Consecutive Pass to the trade and general public. RailTourGuide are authorised booking agents for the BritRail Consecutive Pass and we sell these tickets from our office based in the UK. For more information on the BritRail Consecutive Pass please contact us. The beautiful countryside and seaside landscapes, the historic cities and the mysteries of England, Wales and Scotland await you. Discovery Britain with the BritRail Consecutive Pass and take advantage of day after day of continuous travel with this affordable and great value Rail Pass, this is ideal for the avid traveller. PRE-BOOKING TIME: 11 Months in advance of first days travel. Unlimited travel throughout England, Wales and Scotland on the national rail network of Britain from morning until night. BritRail offers exceptional discounts to small groups travelling together, off-peak travellers, seniors over 60, families and young travellers under 26 – See below for details! Available in either First or Standard Class. Get access to the Heathrow, Gatwick and Stansted Express trains – trains from Luton Airport to London, from Birmingham and Manchester airports are also included. These Passes are not available to buy in the United Kingdom nor as these available to residents of the UK- they are designed specifically for International guests visiting the UK. BritRail customers can benefit from discounts at top attractions in the UK. Here is the complete list of BritRail 2 for 1 Offers. Pass must be validated within 11 months of the date of purchase. the BritRail Consecutive Pass is valid for travel on a set number of consecutive days. Passes are available for 3, 4, 8, 15, 22 days or 1 month. Small groups of 3 to 9 adults can receive a discount of up to 20% off regular prices if they travel together. 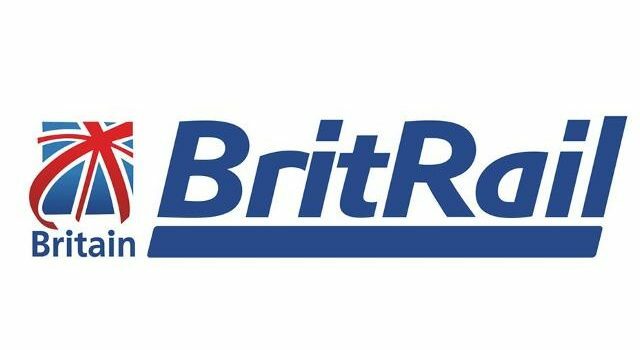 The BritRail Saver Discount is available in both 1st and Standard Class. Please note the group must travel together at all times. Youths between the ages of 16 and 25 (inclusive) are eligible for a 20% discount in both 1st and Standard Class. Seniors 60 and over receive up to a 15% discount. Refunds will be granted if the unvalidated Pass or original exchange coupon or voucher is returned to our office RailTourGuide, Suite 42, 7 – 15 Pink Lane, Newcastle upon Tyne, United Kingdom, NE1 5DW within three months from the date of issue. Passes or tickets must bear no evidence of having been tampered with in any way. No refund can be made if the Pass or Ticket cannot be produced. Refunds are not given on validated Passes once the commencement date has been reached.Where a Pass forms part of an inclusive Tour Package, it is not separately refundable. If you book and later cancel the BritRail Passes we will charge a 25% cancellation fee. Special offers are not refundable. Neither the Participating Operators nor their Agents can accept any responsibility for any failure in the provision of any special offers included. Seat and Sleeper reservations made by yourself at local railway stations in the United Kingdom are non refundable. If a BritRail Pass is booked and then cancelled it will be subject to a 25% cancellation fee. BritRail or RailTourGuide are not responsible for tickets or vouchers, which are lost, stolen, mutilated or destroyed. Refunds cannot be authorized in such cases. Therefore, travel insurance is recommended.